Sit back, relax, and enjoy these show recommendations! Photo: mariannalogan/Instagram. 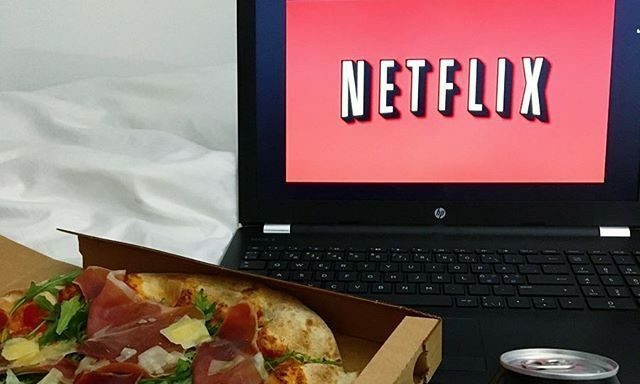 If you and your partner enjoy staying in, kicking back and watching shows together, then you’ve probably binge-watched a show (or five) together. Are you on the hunt for another one? Look no further. Check out these four date ideas that will have you hooked! You’ll love these show recommendations for your next date night! 1. Friday Night Lights: Regardless if you are a football fan or not, this show is a must-see. The five seasons follow a close-knit Texas football team and their community at-large, and also talks about topics surrounding contemporary American culture. 2. The Office: There’s a reason “The Office” was a household name for nine seasons! Each episode perfectly captures the hilariousness of a normal 9-5 workday, and the characters are so unique and compelling. You and your partner are sure to laugh until your stomachs hurt. 3. This is Us: If you’ve been wanting to tune into “This is Us” but don’t want to feel lost during the current season, dive in on Hulu! This show takes you on an emotional journey within each 45 minute episode, following the lives of the Pearson family throughout the course of their lives. 4. Scrubs: “Scrubs” is another oldie but goodie, because it brings humor to a rather mundane place – the hospital. Nine seasons will definitely keep you and your partner busy for awhile, too. What shows do you and your partner watch together? Share in the comment section!